The subtlety of Pear Liqueur is contrasted in this version with Ginger Beer which adds zest, fun and a bit of fizz. The Gin used should be a London Dry Gin on order not to over power the various tasting notes. This derivation is inventive, different and gives an erupting volcano of flavour and pizzazz! Combine all the ingredients in a Cocktail shaker over ice. Shake, Strain into a cold Cocktail glass. Garnish with a thin slice of Pear. 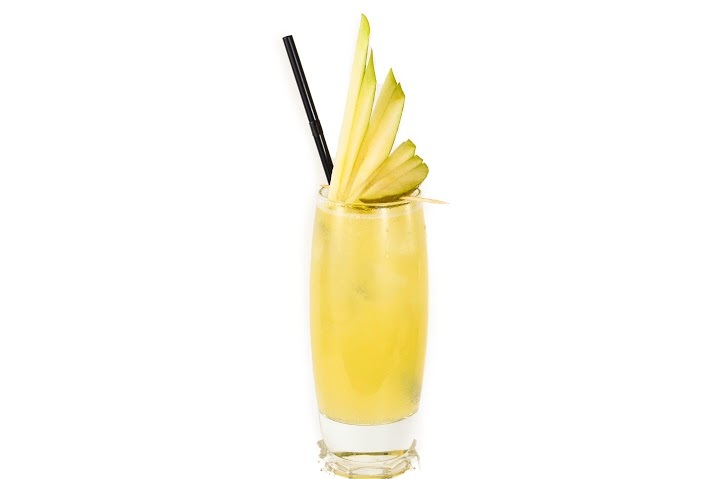 It appears the origins of this simple, powerful and gorgeous Cocktail hail from Australia. The video below from Absolut Vodka, replaces Gin with Vodka. Just a twist on the theme. A long, tall glass ideal for Long drinks and Mocktails. This glass is more delicate in appearance than the Tall Cooler Glass that is often substituted for this one.